¡Ser o Estar en un Minuto! 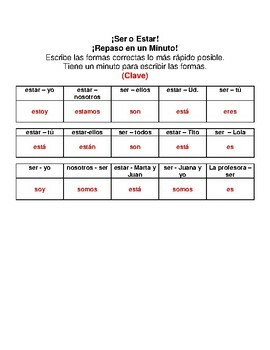 Students are given one minute to quickly write the forms of Ser or Estar given the subject pronouns. 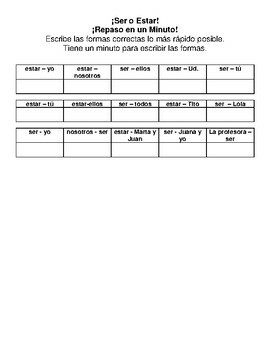 This great and quick formative assessment allows your students to see how well they are grasping SER and ESTAR before a quiz or exam.